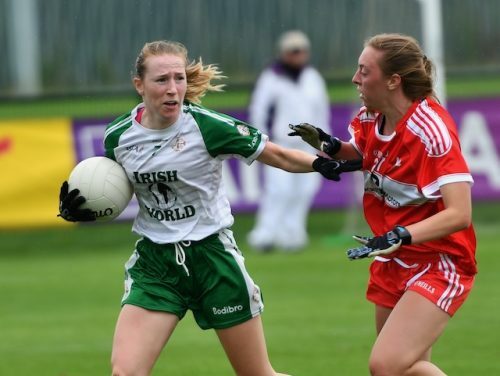 London Ladies will play Limerick for a place in the All-Ireland final after Louth inflicted a first defeat of the campaign on Paddy Bowles’ Exiles to win the battle for top spot in Group 1. 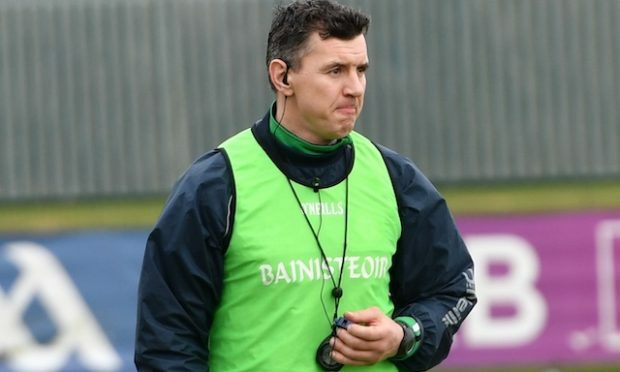 Victory earnt the Wee County a semi-final date with Ulster champions Derry on August 25/26, while the Exiles must face a Limerick side which emphatically put Carlow to the sword to sew up Group 2. Louth’s strong finish and their ability to not only adapt, but flourish, during Ceire Nolan’s first half sinbinning were the difference at Ruislip. 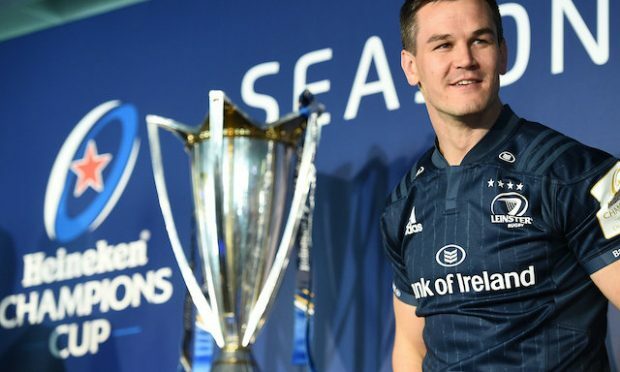 London will still be confident that they can reach a first All-Ireland final since 2008, but they will need to heed the lessons Sunday’s entertaining clash served up. Top of that list will be the Exiles’ inability to twice build on promising five-point leads, just when they looked poised to pull away. The home side led 1-4 to 0-2 after 17 minutes. The goal came courtesy of some patient build-up play before Lisa Cafferky floated an inviting ball to the far post, and the excellent Avril Kilkelly arrived with purpose to fist the ball to the net. Kilkelly had already slotted over three early frees to give the Exiles a 0-3 to no score lead, although the home side needed a well-timed challenge from Ruanne Hunt to deny Flood as the Louth captain looked set to test Rachel Healy. When Nolan was despatched to the sin bin in the 20th minute, London led by 1-4 to 0-3. It was a gilt-edged opportunity to put some daylight between themselves and their visitors. Then disaster. With Nolan pacing the sideline eager to return, Flood’s speculative shot suddenly had Healy back-peddling in vain on its way into the far top corner of the London net. Nolan returned with Louth having won the sin bin period (1-3 to 0-2). Cafferky’s goal would help take her personal tally for the competition to 7-17 (6f) after the group stage. Flood, who put in inspirational performance, and Lauren Boyle accounted for all of those scores, shared evenly between them. And it might have been more had Sinead Woods’ fierce strike not cannoned back off the crossbar. London led from the first minute until two minutes from normal time, but ultimately it was Louth’s superior fitness which told. London tired and with that went their accuracy. They’ll need to keep the ball better against Limerick. This could prove an invaluable lesson for a side playing just its third game together. 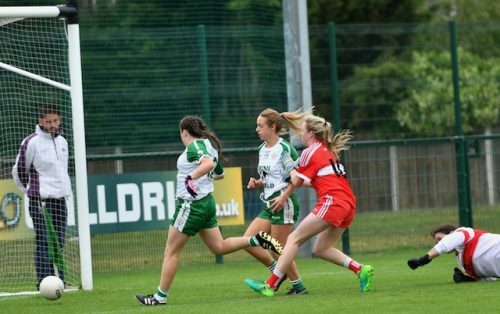 Louth: Una Pearson; Michelle McMahon, Eimear Murray, Shannen McLoughin; Michelle McArdle, Ceire Nolan, Bronagh McGrane; Sinead Woods, Eimear Byrne; Aoife Russell, Kate Flood (1-6, 3f), Niamh Rice (0-1); Lauren Boyle (0-5, Bonnie Fleming (0-2), Aine Breen. Subs: Rebecca Carr (0-1) for McArdle (h-t), Jennifer McGuinness (0-2) for McGrane (h-t). Sin bin: Ceire Nolan (20min). 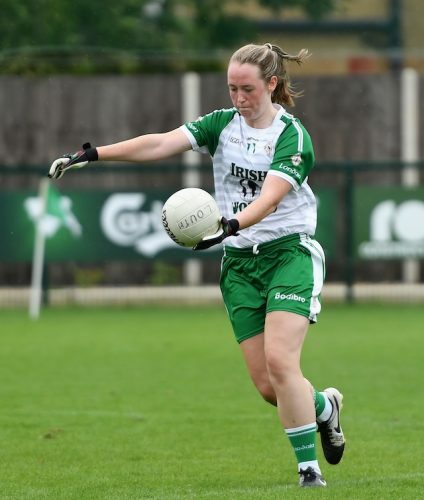 London: Rachel Healy; Catherine Barrett, Ruanne Hunt, Nicole Mulholland; Noelle Cocoman, Lorraine McNulty, Cliona Twohig; Naoimhin Daly, Ailish Healy (0-2); Claire O’Sullivan, Avril Kilkelly (1-6, 4f), Rebecca Mills; Lisa Cafferky (1-2, 1f), Fiona. Morrissey, Catriona McGahan (0-1). Subs: Kathryn Canavan for Daly (38min), Patricia Marmion for Morrissey (42min), Brid Murphy for Mills (60+2min).